Having helped wave-energy company Trident Energy to secure development funding, we optimised their designs, exceeding all expectations to improve power generation by 50%. Trident Energy — an independent technology developer for the offshore renewables industry — engaged 42 Technology to help them to apply for and win £500,000 of development funding to further develop their PowerPod concept, from Wave Energy Scotland as a Stage 2 project in its PTO innovation call. I am pleased to see the improvements to this technology’s performance. 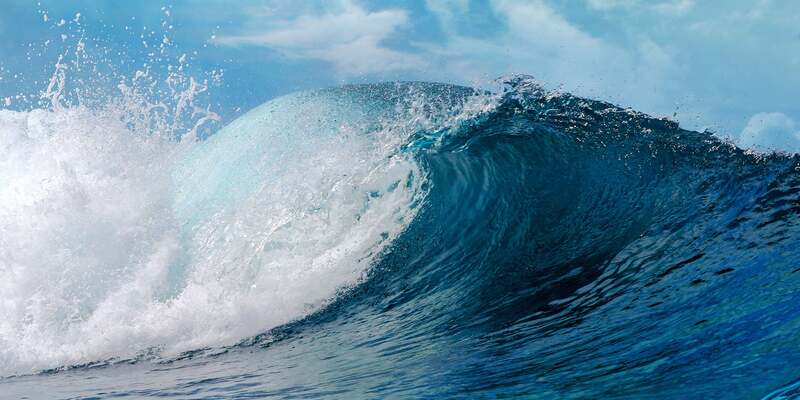 This is an excellent contribution to the advancement of wave energy technology. The re-designed concept, named PowerPod II, represents a major advance for Trident Energy and its WaveDrive project, which is aimed at developing a generic power take-off system for use in a broad range of wave energy converter – WEC – devices. Trident’s WaveDrive project was awarded almost £0.5M. The new PowerPod II concept is based on a single generic design that can be adapted for use in different types of wave energy converters and certain tidal energy devices, potentially enabling higher manufacturing volumes, lower cost and faster commercial deployment. The new concept is similar in size to its predecessor but it generates 50% more electrical power on each stroke thus helping WEC developers implement more cost-effective and competitive systems. The magnetic stack configuration has been optimised to allow the linear generator to operate horizontally, widening the available options for installation and operation. Improvements to the seal design for in-sea operation and a more robust bearing solution have been implemented to further increase reliability and reduce maintenance cycles. The improved PowerPod II design is also fully controllable using solid state power electronics, which opens the door to advanced real-time control systems and improved energy capture efficiency of WEC devices. Trident Energy said that the technology optimisation project with 42 Technology has exceeded all expectations in improving the performance of the company’s novel linear generator concept. We are currently working with Trident Energy to secure further development funding. 42 Technology carried out a detailed design review of Trident’s existing PowerPod linear generator and successfully optimised it for performance, robustness and manufacturability. The design improvements and project outcomes have exceeded expectations and the two companies are now progressing to detailed design of the new linear generator technology.